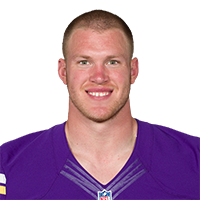 Rudolph's agent denied a report that the Vikings have asked the tight end to accept a pay cut, Ian Rapoport of NFL Network reports. Rudolph caught four of his five targets for 19 yards during Sunday's loss to the Bears. Rudolph caught all nine of his targets for 122 yards and two touchdowns in Sunday's 27-9 win over Detroit. Rudolph recorded three receptions for 23 yards across 51 offensive snaps in Sunday's win over the Dolphins. Analysis: Rudolph continues to see limited targets this season as he now has just eight receptions for 68 yards over the past three games. It could be more of the same for the veteran next week against the Lions, who have only allowed five touchdowns to tight ends all season. Rudolph caught two of his five targets for seven yards in Monday night's 21-7 loss to the Seahawks. 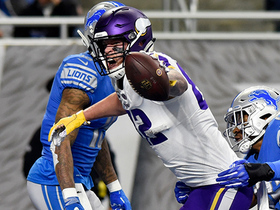 Analysis: Rudolph has seen his role within Minnesota's offense decline this season, but Monday marked a new low for the tight end. 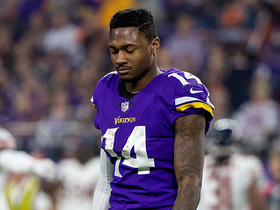 It was the first time he's failed to top 10 yards this year, but in his defense, the Vikings offense as a whole did very little prior to its final drive. 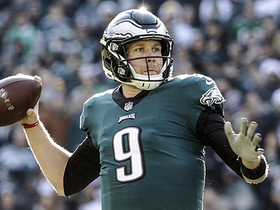 Regardless, the veteran will be eager to improve in Week 15 versus the Dolphins. Rudolph had three receptions for 38 yards on three targets in Sunday's loss at New England. 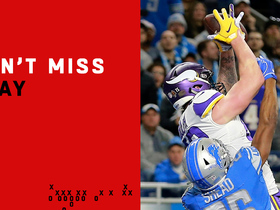 Analysis: So much for the idea that he'd become a bigger part of the passing offense after last week's season-high seven targets as Rudolph wasn't a big factor even with the Vikings playing from behind most of the game. His weekly fantasy upside still seems to hinge on whether he reaches the end zone. Rudolph reeled in all seven of his targets for 63 yards in Sunday's 24-17 win over the Packers. Analysis: The reception count matched Rudolph's season high in the category, while the yardage total was his second-best effort. While the outing amounted to a positive step forward for the tight end, it's worth noting that he had tallied only 13 receptions for 133 yards over the previous five games. His weekly fantasy upside still seems to hinge on whether he reaches the end zone. Rudolph corralled two of his five targets for 13 yards in the Vikings' 25-20 loss to the Bears on Sunday. Rudolph caught both of his targets for 28 yards in Sunday's 24-9 win over the Lions. 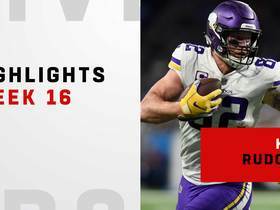 Analysis: Owners hoping to see the tight end more involved without wide receiver Stefon Diggs (ribs) were left disappointed, as quarterback Kirk Cousins threw for a season-low 164 yards. After scoring 15 touchdowns over the previous two seasons, Rudolph heads into the Week 10 bye with just 34 catches for 349 yards and two scores. 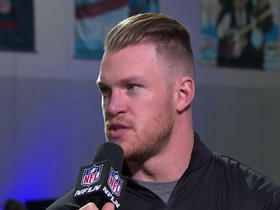 Minnesota Vikings tight end Kyle Rudolph joins 'Super Bowl LIVE' to discuss how a high school connection is the reason he is rooting for the Los Angeles Rams. 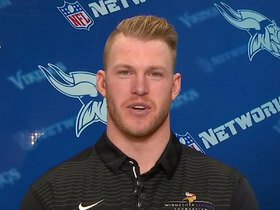 Minnesota Vikings tight end Kyle Rudolph joins "NFL Total Access" to talk about winning the Walter Payton Man of the Year social media challenge. 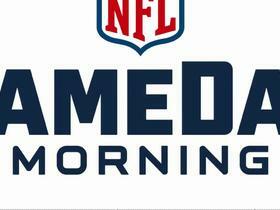 NFL Network's Tom Pelissero previews the Minnesota Vikings Week 17 matchup vs. the Chicago Bears. "NFL Fantasy Live" crew go over costly decisions that hurt fantasy teams for Week 16. Minnesota Vikings tight end Kyle Rudolph catches a 4-yard touchdown pass from quarterback Kirk Cousins. 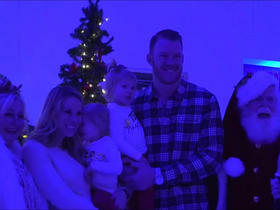 Minnesota Vikings tight end Kyle Rudolph and his wife hosted "Rudy's Red Eye Express" for 50 children from University of Minnesota Masonic Children's Hospital. 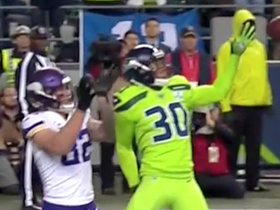 Seattle Seahawks safety Bradley McDougald breaks up a pass from Minnesota Vikings quarterback Kirk Cousins.